Gymnastics is an elegant sport. 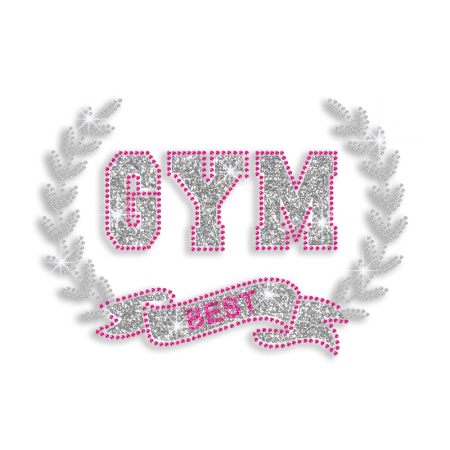 Performing it well needs years' diligent exercise. 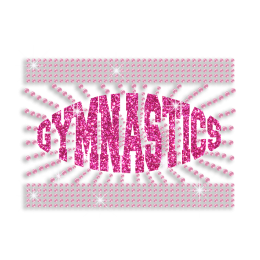 Just like Lovely Pink GYM Best Gymnastics Iron-on Glitter Rhinestone Transfer produced by CSTOWN. It is ingeniously designed and exquisitely produced by professionals’ hard working. 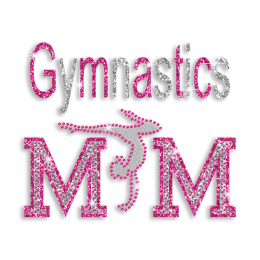 Made of Glitter,Rhinestone, this design is of perfect size 7.5 X 5.3 and with bright color Rose Pink (K7), Silver (K1), Rose Pink (ECS17),Crystal (ECS01).